Kurt Eichenwald's article " How Donald Trump’s Company Violated the United States Embargo Against Cuba" is “full of sound and fury, signifying nothing," in terms of the main charge, carried in the report's title, but requires adding a few more facts to provide context and meaning. Chris White in Law Newz characterizes Trump's dealings in Cuba as "another media distortion" and a "non-scandal" and one should read Mauricio Claver-Carone of Cuba Democracy Advocates analysis of the Trump non-controversy. President Bill Clinton in 1992 ran as a "hardliner" on Cuba policy supporting the Cuban Democracy Act also known as the Torricelli Bill. A bill that President Bush had initially refused to sign, but relented once Cuban exiles got Candidate Clinton's backing. As was the case with his approach to China once he got into office he did an about face. "It is based on the premise that we would discuss issues only related to Guantánamo. On February 17, 1993, following a request by the United States to discuss issues related to buoy locators for ship navigations into the bay, was the first contact in the history of the revolution. Between March 4 and July 1, the Rafters Crisis took place. A military-to-military hot line was established, and on May 9, 1995, we agreed to monthly meetings with primaries from both governments. To this day, there have been 157 meetings, and there is a taped record of every meeting. The meetings are conducted on the third Friday of every month. 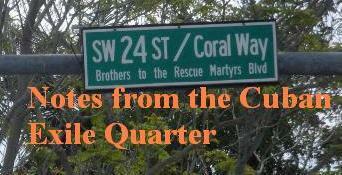 We alternate locations between the American base at Guantánamo and in Cuban-held territory. We conduct joint emergency-response exercises. For example, we set a fire, and American helicopters bring water from the bay, in concert with Cuban helicopters. ( Despite his rhetoric George W. Bush continued the practice during his presidency.) During this period of "constructive engagement" brutal massacres of Cubans such as the July 13, 1994 "13 de Marzo" tugboat massacre and the February 24, 1996 Brothers to the Rescue shoot down took place. The shoot down involved two planes blown to bits over international airspace by Cuban MiGs killing three American citizens and a Cuban resident who were engaged in the search and rescue of Cuban rafters. Since it occurred while President Clinton was seeking re-election and his only options were to do nothing, military action, or toughen sanctions he opted for the latter signing the Cuban Libertad Act of 1996. "The first signs that American policy might be shifting came in March 1998, when President Clinton announced several major changes. Among them: resuming charter flights between the United States and Cuba for authorized Americans, streamlining procedures for exporting medical equipment and allowing Cubans in the U.S. to send small amounts of cash to their relatives on the island." Nor does Eichenwald mention what happened after 1999. Bill Clinton was the first sitting president to shake hands with Fidel Castro on September 6, 2000 and one month later he signed Trade Sanctions Reform and Export Enhancement Act (TEFRA) that opened trade between the Castro regime and U.S. companies. Opposition in congress led to that trade not being subsidized by U.S. taxpayers by through government backed credits ensuring that business would be cash and carry. At the time of its passage, Fidel Castro said "his country would not buy 'even a grain of rice' under the current terms." The Cuban dictator ended up buying much more than a grain of rice under those terms. Between 2000 and 2016 American companies sold $5.2 billion dollars in goods to the Castro regime on a cash and carry basis. Trade with the Castro regime peaked at $711.5 million in 2008 under the Bush administration with sanctions that protected U.S. taxpayers from picking up the tab while under the Obama administration's Cuba policy of unilateral concessions trade collapsed to $180.3 million in 2015 and in January 2016 the White House opened up financing for the notorious deadbeat nation. This may be great for the Chamber of Commerce but it is terrible for the American taxpayer. Donald Trump explored opportunities for business in Cuba in 1998 and a year later in The Miami Herald explained why he would not do it. When President Obama announced on December 17, 2014 the normalization of relations with the Castro regime Trump gave his lukewarm support saying "I think it's fine" but characteristically that we "should have made a stronger deal." On this blog I explained repeatedly why Trump's echoing of Obama and Clinton's Cuba policy would cost him and the Republican Party the Cuban American vote. This would not be the first time that Republican's abandoned an anti-communist position supported by an ethnic group only to lose their support. This happened with Chinese Americans in the 1990s. Only 35% of Cuban Americans were supporting Trump before he indicated on September 16, 2016 that if elected he would rollback Obama's normalization of relations with the Castro regime if human rights were not dramatically improved in Cuba. It will be interesting to see what are the new polling numbers for Mr. Trump among Cuban Americans after his mid-September announcement on Cuba policy. Yesterday, on this blog the question was raised if the Obama Administration's Cuba policy legacy project would throw Clinton under the bus? Reading today's desperate piece in Newsweek Magazine the answer appears to be yes. Remember both Bill Clinton and Barack Obama maintained a pro-embargo position when running for president and did well in Florida. The Castro regime appears to be changing tactics in their control and censorship of the internet. The Committee to Protect Journalists have published an important and detailed report by Alexandra Ellerbeck titled: Connecting Cuba: Staying connected in an offline world that is too long to reproduce here but is available online. Implement constitutional and legal reforms to ensure full respect for freedom of expression and to allow journalists to work freely without fear of reprisal. Amend the restrictive legal framework that bans privately owned media ownership and ensure freedom of speech and the press in accordance with the International Covenant on Civil and Political Rights, to which Cuba is a signatory. Allow the creation of press cooperatives or privately owned media so that journalists are not forced to operate in a legal limbo. Foster an environment that encourages the state press to operate independently and report critically. End the practice of summonses, brief detentions, and harassment of independent journalists. Make internet access more affordable and extend connectivity to the internet without restrictions. Accept the 2015 request by David Kaye, the U.N. special rapporteur on the promotion and protection of the right to freedom of opinion and expression, for an invitation to visit Cuba as part of his mandate. Request authorization for the Special Rapporteur for Freedom of Expression to conduct a mission to Cuba to assess the state of press freedom and freedom of expression, and report its findings and recommendations publicly. 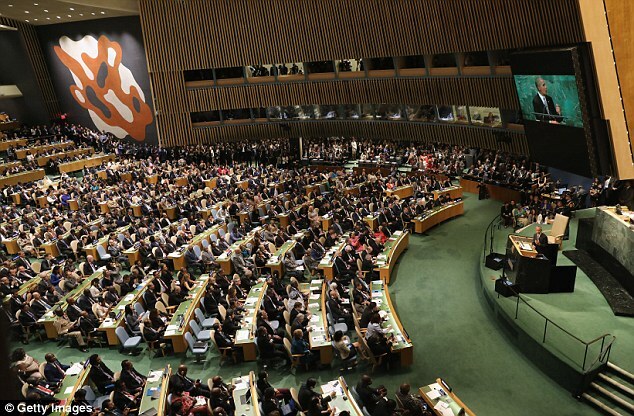 Ensure any dialogue with Cuba regarding its participation in the multilateral body includes consideration of its press freedom record, including harassment and intimidation of journalists, summonses, and brief detentions. Will Obama Administration Cuba policy legacy project throw Clinton under the bus? Will President Obama's move to name an Ambassador to Embassy in Havana hurt Hillary Clinton in Florida? Will President Obama's announcement cost Hillary Florida? 42 days before election day President Obama made a fateful decision that could impact the outcome of the Presidential election in Florida when he announced yesterday afternoon that “Today, I am proud to nominate Ambassador Jeffrey DeLaurentis to be the first U.S. Ambassador to Cuba in more than 50 years." Cuba, so far this election cycle has not been high on the radar, but with this announcement the Obama Administration's controversial Cuba policy will be debated and at a time when polls indicate that the race in Florida is tightening the Cuban American vote could be decisive in swinging the state and its 29 electoral votes. 1. Dissidents murdered by the dictatorship within a worsening human rights situation. 2. Trade between the United States and Cuba has collapsed under the Obama Administration to levels not seen since 2002. 3. Castro regime power and influence projected further into Latin America with devastating results in Venezuela and Nicaragua. 4. Mass exodus from Cuba with tens of thousands of Cubans fleeing the island because they see that the Castro regime is being assisted by the White House in a generational succession of the Castro family. 5. Military and Castro family further expanding control over the economy. 6. Discrimination against Cuban American by American corporations trying to satisfy demands of the Castro dictatorship. 7. China, North Korea, Russia and Iran strengthening ties with the Castro regime to levels not seen in years. 8. Cuba seized a U.S. Hellfire missile in 2014 while secret negotiations were underway and refused to return it until the Wall Street Journal broke the story in early 2016. 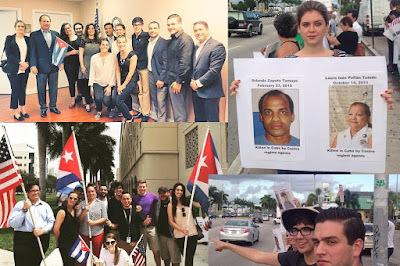 This is most likely the reason why Donald Trump reversed his support for the Obama Cuba policy on September 16, 2016 describing Obama's deal as "one-sided" and benefiting "only the Castro regime," and met with Cuban American and Venezuelan American leaders in Miami yesterday promising results in improving the situation in Cuba and Venezuela with a smarter and more assertive American foreign policy under a Trump administration. President Obama could have nominated DeLaurentis after November 8th and avoid heightening the focus on his Cuba policy in the Cuban American community and potentially harming Hillary Clinton. Bendixen-Amandi polls and the FIU Poll with dubious methodology have tricked more than one politician into believing that the Cuban-American community has changed and that backing a policy that legitimizes the Castro regime while human rights worsen on the island will not reflect negatively their support. 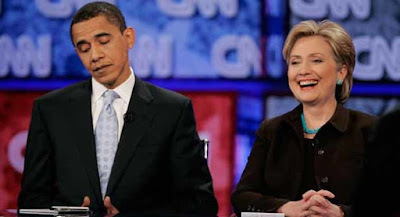 President Obama did not take that chance when he was running for the White House in 2008 and 2012 but is apparently willing to risk Hillary's prospects in 2016. The number 42 was revealed by the late British author Douglas Adams in his Hitchhiker's trilogy to be the answer "to life, the universe and everything," but the joke was that it didn't make sense without knowing and understanding what the question was. In 42 days however the Obama White House and the Clinton campaign will have a definitive answer on how Cuba policy impacts the Cuban American vote and in a tight race the outcome may not lead to much laughter or celebration in either quarter. 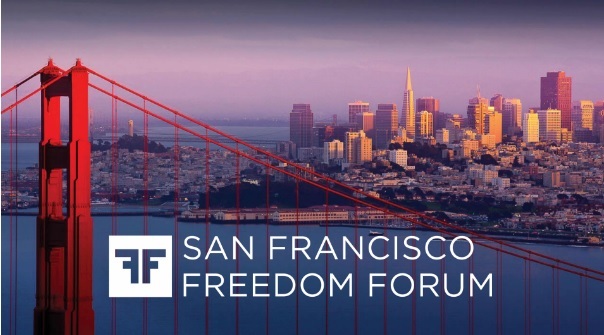 Tonight the San Francisco Freedom Forum commenced with an opening reception at 7:30pm sponsored by Humanity United. Tomorrow, September 29, 2016 will feature a full day of presentations beginning at 9:30am and the agenda is available online. In May of 2016 she spoke at the Oslo Freedom Forum about her martyred father Cuban democracy leader Oswaldo Payá Sardiñas who died under suspicious circumstances on July 22, 2012. For more information about the Oslo Freedom Forum, please visit their website or watch a selection of talks from their speakers. Follow them on Twitter, Facebook, and Google+ for updates. For more information or to purchase your tickets using PayPal or Bitcoin, please contact them at info@oslofreedomforum.com or +1 (212) 246-8486. The Secretary General of the Organization of American States (OAS), Luis Almagro, today said the National Electoral Council (CNE, for its initials in Spanish) of Venezuela is “obstructing a constitutional right and acting with a clear political bias” in announcing the rules and the timetable that will govern the process for the recall referendum sought by the opposition, and demanded that the referendum be held in 2016. “The recall referendum belongs to the people, and it is up to the CNE to ensure the guarantees for the free expression of the people, instead of curtailing and trying to annul their rights,” stressed the Secretary General. For the OAS leader, moreover, the CNE “arbitrarily and with demonstrated intention changed the rules of the game” by determining that the collection of 20 percent of the signatures needed to convene the referendum must be done at the state level, rather than at the national level: "Electoral bodies do not exist to undermine democracy and act in the interests of the current government; their nature and obligation is to serve as vehicles for the strengthening of the will of the people,” he reaffirmed. In effect, during the recall referendum against the former President Chávez in 2004, under the same law, the collection of 20 percent of the signatures was carried out at the national level, which makes complete sense, given that the office in question is the President of the Republic, a national office. “The President of the CNE Tibisay Lucena and its rectors Sandra Oblitas, Socorro Elizabeth Hernández and Tania D´Amelio are showing a high level of undue technical incompetence regarding the responsibilities they must meet. Their role is to ensure that 100 percent of the Venezuelan electoral registry is able to sign, if they desire to do so, not to certify the elimination of the rights of the people,” added Almagro. “It is urgent that the required number of machines in all districts are present in order to meet the needs of the more than 19 million Venezuelan voters and carry out a fair and proper distribution of districts that does not blatantly favor the position of the government. This decision is unconstitutional, violates the very spirit of the recall referendum and aims to sweep away the last glimmer of democratic hope for Venezuela,” he explained. The General Secretariat of the Organization of American States (OAS) reiterates the urgent call for respect for democratic institutions and rights, while recalling once more what is established in Article 1 of the Inter-American Democratic Charter: “The peoples of the Americas have a right to democracy and their governments have an obligation to promote and defend it.” "The right is that of the peoples and the obligation to ensure that right is that of the government," said Almagro. There is an urgent need today for international observation to avoid further violations of that right. The Obama Administration beginning in 2009 pushed for a normalization of relations with an abnormal and totalitarian regime in Cuba that treats its own people as chattel. On December 17, 2014 the announcement was formally made and since then new relations established. Throughout this process human rights have not only worsened in Cuba, but also in the United States with the approval of The White House until popular outrage has forced them to back track. Consider for a moment three episodes from 2016. First, Carnival Cruise Line signed an agreement with Castro regime officials on March 21, 2016 to sail to Cuba from the United States. In order to conduct their core mission Carnival had to agree to enforce the Castro dictatorship's policy that bans all Cubans from traveling into the island by water. It did not matter if Cubans born on the island were now citizens of another country. Obama's Treasury Department on July 7, 2015 signed off on the Carnival Cruise Line - Castro regime alliance ignoring that an entire class of Americans would be discriminated against based on their national origin. Mass protests, boycotts and lawsuits led the Castro regime to blink when it became apparent that popular outrage would lead the cruise ship company to cancel its cruises. Second, the U.S. embassy in Cuba floated a trial balloon that announced that the United States government accepted that U.S. citizens of Cuban descent born in the United States are not recognized by the Castro regime as Americans but as Cuban nationals subject to the dictatorship's laws and regulations. Even though one was born in the United States and has never applied for dual nationality in Cuba they are treated as a Cuban born by the Castro regime in terms of responsibilities but not rights and the government of the USA goes along with it in order to have "normal relations." This also means that these U.S. citizens would be denied consular access in Cuba. The State Department once again had to back track in May of 2016 when this trial balloon sunk amidst negative press coverage and popular outrage. 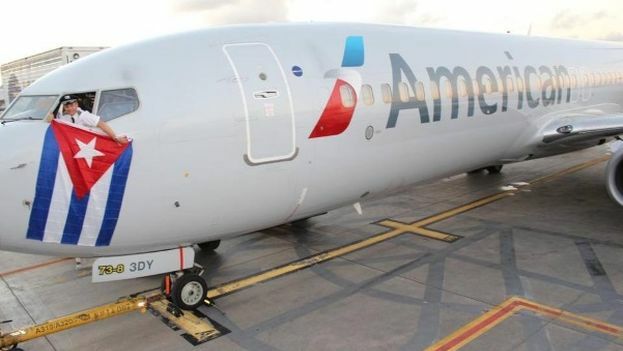 Thirdly, American Airlines is pulling Cuban-American pilots and flight attendants off flights to Cuba in order to placate demands by the Castro regime. Fabiola Santiago, of The Miami Herald, obtained an American Airlines memo announcing the policy as follows: “Please remember that those who are Cuban born should be removed with pay from Cuba flights until we can verify what requirements the Cuban government has for these crew members.” The Democracy Movement has announced that if American Airlines does not end this policy that they will take action. President Obama's Cuba policy legacy is to resurrect systemic legal segregation against American citizen's based on their national origin in order to placate a foreign dictatorship. Benjamin Franklin was right: "If you lie down with dogs, you get up with fleas." I remember the young entrepreneurs I met who are now starting new businesses in Cuba, the parliamentarians who used to be just a few years ago political prisoners in Myanmar. Hopefully the war in Colombia has come to an end, but with Raul Castro serving as a mediator skepticism about the long term prospects for peace are not unreasonable. However studying the contrast in US policy towards the military regimes in Burma and Cuba along with the differing outcomes teaches an important lesson. Dictatorships do not fall or leave of their own accord, but respond to pressures both internal and external that demand change. This can best be seen by the outcomes in Burma and Cuba with regards to U.S. foreign policy. President Obama on April 3, 2009 loosened economic sanctions, beginning a series of unilateral concessions with the dictatorship in Cuba that would have dire consequences for democrats in Cuba. As the President extended a hand to the Castro dictatorship he withdrew it from Cuban democrats. President Obama refused to meet in June of 2009 with the winners of the National Endowment for Democracy’s Democracy Award who happened to be five Cuban dissidents. This was the first time in five years that the President of the United States had not met with the award laureates. Meanwhile in Burma sanctions were maintained without changes until 2012 and improvement of relations and lifting sanctions made contingent upon democratic reforms. Aung San Suu Kyi was finally released from a total of 15 years house arrest on November 13, 2010. She made the case for maintaining sanctions until serious democratic reforms were finally underway. The response by the Cuban government to the overtures of the Obama administration in December of 2009 was to take Alan Gross, an American citizen hostage. The administration responded with initial silence and it took American diplomats 25 days to visit the arbitrarily detained American. On January 14, 2011 with Gross still arbitrarily detained in Cuba the President loosened travel restrictions on travel to the island to an extent not seen in a decade. The concessions and the cold shoulder to Cuban dissidents sent a clear message to the dictatorship that would be devastating for the prospects of a nonviolent and democratic transition in Cuba. Rising levels of violence against nonviolent activists and the suspicious deaths of human rights defenders: Orlando Zapata Tamayo (February 23, 2010), Daisy Talavera de las Mercedes Lopez (January 31, 2011) , Juan Wilfredo Soto Garcia (May 8, 2011), Laura Inés Pollán Toledo (October 14, 2011), Wilman Villar Mendoza (January 19, 2012), Sergio Diaz Larrastegui (April 19, 2012), Oswaldo Payá Sardiñas (July 22, 2012) and Harold Cepero Escalante (July 22, 2012). Both Laura Pollán and Oswaldo Payá each had the international recognition and ability to lead a democratic transition in Cuba. Oswaldo Payá had forced the dictatorship to change the Cuban constitution in 2002 in reaction to Project Varela, a citizen initiative demanding legal reforms within the existing system, and Laura Pollán through constant street demonstrations achieved the freedom of scores of Cuban prisoners of conscience in 2010. Meantime in Burma Aung San Suu Kyi's party the National League for Democracy boycotted the 2010 elections but in 2012 won a stunning victory in another round of elections. Only then did the United States loosen sanctions. In contrast the Cuba policy of unilateral concessions was escalated on December 17, 2014 with the release of three Cuban spies (including Gerardo Hernandez serving a life sentence for murder conspiracy), the promise of ending all economic sanctions and followed months later by removing the Castro regime from the list of state sponsors of terrorism despite ample reasons to be kept on it. The White House and Cuba held secret negotiations for 18 months before the December announcement. Coinciding with the start of these negotiations in June of 2013 were a series of machete attacks against opposition activists by regime agents. Not to mention that the Cuban government during these negotiations in 2014 got its hands on a U.S. Hellfire missile and refused to return it to the United States until the story broke in 2016. Burma in 2016 has Aung San Suu Kyi as the elected leader of her country and representing it at the United Nations and meeting with President Obama at the White House on September 15, 2016. The White House is now calling for the complete lifting of sanctions on Burma but some Burmese democrats warn that it would be a mistake. At the same time Cuba in 2016 finds tens of thousands fleeing Cuba having lost hope that a democratic transition is imminent, and the Castro regime is breaking new records in religious repression and arbitrary detentions. President Obama and his family visited Cuba between March 20 - 22, 2016 and legitimized Raul Castro and his heir apparent Alexandro Castro Espin in a formal meeting. This broke a tradition beginning in 1969 of not granting official visits to dictators in the Western Hemisphere. Despite the unilateral loosening of sanctions on the Castro regime, trade between the United States and Cuba has imploded to levels not seen since 2002, and economic control is being centralized in the military. Despite President Obama's claims at the United Nations There are less Cubans who are "self-employed" workers in Cuba today than in 2014 but Castro's military monopolies are expanding and consolidating control over the entire economy. Hope exists in Burma despite many continuing obstacles while despair is widespread in Cuba among those who want to live in freedom. However Castro's military-intelligence apparatus is optimistic in getting everything they want. Gerardo Hernandez, the Cuban spy sentenced to life in prison for murder conspiracy and freed by Obama as part of his deal with Raul Castro reflects this view: "We are going to have diplomatic relations with the United States without having ceded one iota." Trump -- speaking in a state with a heavy Cuban voting bloc -- characterized Obama's deal as "one-sided" and benefiting "only the Castro regime." "But all of the concessions that Barack Obama has granted the Castro regime were done with executive order, which means the next president can reverse them. 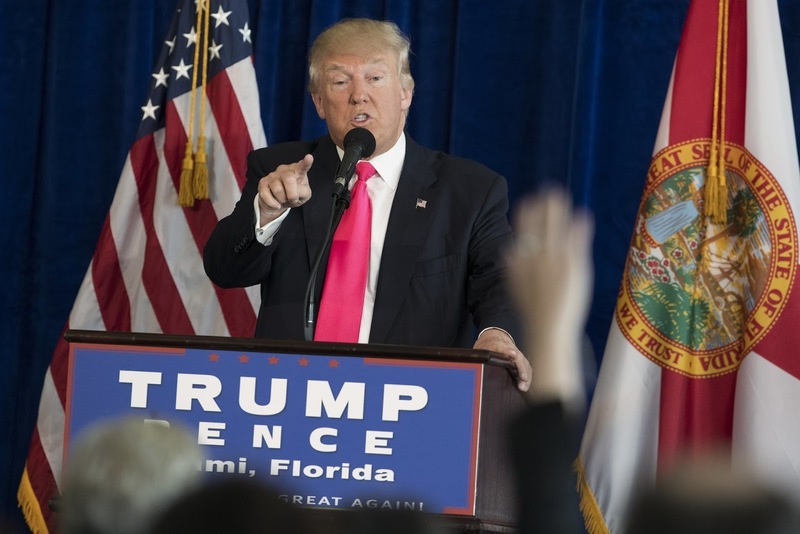 And that is what I will do unless the Castro regime meets our demands," Trump said Friday. This new contrast over Cuba will test the FIU poll of Miami Cubans and their supposed strong support for Obama's Cuba policy. Recall that Marco Rubio who has repudiated the Obama Cuba policy lost across the state of Florida in the Republican primary but won Miami-Dade County handily with the Cuban American vote. Trump's about face on Cuba policy will be good news for the GOP in South Florida where Cuban Americans upset over the December 17, 2014 announcement now have a candidate that they can support. Jorge Perez, a prominent businessman promoting engagement with the Castro dictatorship, lost influence with candidate Trump over Cuba policy. This will also turn around the erosion in support for the Republican Party by Cuban American voters. The bottom line is that like the Asian American vote, the Cuban American vote is profoundly anti-communist and in the case of Cuba taking a tough stand on the Castro brothers will deliver votes. The Trump phenomenon is a rejection of the professional political class, of which Hillary Clinton is a paradigmatic example, due to the economic pain of the middle class. In an anti-establishment year the GOP nominee holds the trump card as the non-politician in the race for the White House. Now Cuban-Americans have a choice and not an echo on Cuba policy this November. This is good news for the United States and for GOP prospects in South Florida. I still have my concerns with the Trump candidacy over issues of torture, complimenting Vladimir Putin and the Chinese communists, but at least on Cuba policy voters now have a clear choice. Received word today from Sirley Avila Leon, who was the victim of a crippling machete attack on May 24, 2015, that the Castro regime has taken a keen interest in her: "They put a camera with a microphone two meters from the front of my mother's house on the telephone pole." Sirley Avila Leon returned home to Cuba a week ago on September 7, 2016 after six months receiving medical care and initially her phone was unable to reach contacts outside, but she was finally able to speak with folks the following day. The news Sirley gave was and remains worrying. She returned home to find it occupied by strangers with the approval of the Cuban dictatorship. Sirley is staying at her mother's house in Las Tunas. Ominously, Osmany Carrión, the man who brutally attacked her in that appears to have been engineered by the political police has been bragging to neighbors and Sirley's family that he will finish the job he started. This latest episode only underscores the need for continued vigilance regarding the plight of Sirley Avila Leon. This woman, who was an elected delegate of the municipal peoples assembly in her community made the 'mistake' of fighting to keep a school open for young children that earned her the enmity of the dictatorship while at the same time endearing her with the voters. This reality is what has led the dictatorship to carry out a systematic effort to destroy her. There are times in the course of a public discussion when one comes across a presentation that encapsulates ones argument that the only thing you can do is point to it and say "What he said." This is my reaction to Mauricio Claver-Carone's testimony on Capitol Hill on September 14, 2016. I have touched on these issues in the past and how they will negatively affect U.S. taxpayers, but his testimony is the best encapsulation of the most important points surrounding this policy debate. Below is Mauricio's full statement taken from his Capitol Hill Cubans blog. Thank you, Mr. Chairman, Ranking Member and Members of the Committee. It's truly a privilege to join you here today to discuss important and consequential issues surrounding U.S. agricultural trade with Cuba. I commend you for including a dissenting voice on this panel. 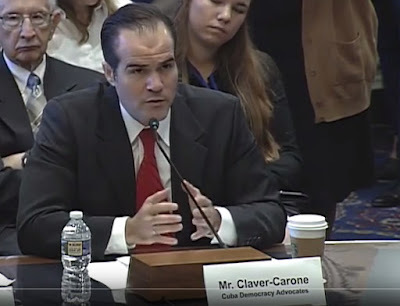 My name is Mauricio Claver-Carone and I'm the Executive Director of Cuba Democracy Advocates, a non-profit, non-partisan organization dedicated to the promotion of human rights, democracy and the rule of law in Cuba. My testimony will be divided into two parts. First, I would like to present key facts regarding agricultural trade with Cuba and highlight the counter-productive trends we are seeing since President Obama announced a new policy of unconditional engagement with the Castro regime on December 17th, 2014. Second, I would like to focus on the issue of financing agricultural sales to Cuba, which I understand is a priority for my fellow panelists, with the good faith and disposition to find common ground. As you are surely aware, pursuant to the Trade Sanctions Reform and Export Enhancement Act of 2000 (‘TSREEA’), the sale of agricultural commodities, medicine and medical devices to the Castro regime in Cuba was authorized by Congress, with one important caveat – these sales must be for “cash-in-advance.” Prior to that, the export of food, medicine and medical devices to the Cuban people had already been authorized under the Cuban Democracy Act of 1992 (‘CDA’). This is an important distinction that needs to be made, for in order to have a productive discussion about agricultural trade with Cuba, one should understand how the island’s totalitarian regime conducts business. In most of the world, trade means dealing with privately-owned or operated corporations. That's not the case in Cuba. In Cuba, foreign trade and investment is the exclusive domain of the state, namely the Castro regime. There are no "exceptions." Here's a noteworthy fact: In the last five decades, every single "foreign trade" transaction with Cuba has been with a state entity, or individual acting on behalf of the state. The state's exclusivity regarding trade and investment remains enshrined in Article 18 of Castro's 1976 Constitution. Since the passage of TSREEA in 2000, over $5 billion in U.S. agricultural products have been sold to Cuba. It is an unpleasant fact, however, that all of those sales by more than 250 privately-owned U.S. companies were made to only one Cuban buyer – the Castro regime. As the U.S. Department of Agriculture’s (‘USDA’) own report on Cuba notes, “The key difference in exporting to Cuba, compared to other countries in the region, is that all U.S. agricultural exports must be channeled through one Cuban government agency, ALIMPORT." ALIMPORT is an acronym for Empresa Cubana Importadora de Alimentos, S.A. It is a subsidiary of Cuba's Ministry of Foreign Trade and serves as the sole procurement agency for U.S. agricultural products. Throughout the years, the Castro regime has ensured the Ministry of Foreign Trade is run by senior officials from Cuba's intelligence services (known as Directorio General de Inteligencia, or ‘DGI’). The current Minister of Foreign Trade is a DGI official, Rodrigo Malmierca Diaz, who is the son of Isidoro Malmierca Peoli, a historic Castro family confidant and founder of Cuba's counter-intelligence and state-security services. Hence another unpleasant fact: All business decisions in Cuba are based on the political and control-based calculations of the Castro regime -- not on market forces. If the Cuban people enjoyed property rights to establish their businesses and were allowed to freely partake in foreign trade and investment – my testimony today would be very different. ALIMPORT primarily supplies government institutions, and the Cuban military's hard currency retail stores (known as Tiendas de Recuperacion de Divisas, ‘TRDs’), hotels and other facilities that cater to tourists and other foreigners. So let’s immediately debunk a myth: Financing agricultural transactions with Cuba is not about assisting small and midsize farmers on the island, but about financing a monopoly of the Castro regime. As a result, we already know what any further lifting sanctions towards Cuba would look like. TSREEA sales from the U.S. and business ventures with other nations exhibit the model: A mercantilist system whereby commerce is simply a tool to benefit and strengthen its totalitarian regime. President Obama’s policy of unilaterally easing sanctions has proven to be counter-productive for agricultural sales to Cuba. But before focusing on those figures, it’s important to note how President Obama’s new policy has broadly proven to yield counter-productive results. · Political arrests have intensified. Throughout 2015, there were more than 8,616 documented political arrests in Cuba. Thus far, there have already been over 7,935 political arrests during the first eight months of 2016. This represents the highest rate of political arrests in decades and nearly quadruples the tally of political arrests throughout all of 2010 (2,074), early in Obama’s presidency. · A new Cuban migration crisis has unfolded. The United States is faced with the largest migration of Cuban nationals since the rafters of 1994. The number of Cubans fleeing to the United States in 2015 was nearly twice that of 2014. Some 51,000 Cubans last year entered the United States and this year’s figures will easily surpass that. The numbers of Cuban nationals fleeing the island have now quintupled since President Obama took office, when it was less than 7,000 annually. · Castro’s military monopolies are displacing "self-employed" workers. There are fewer licensed "self-employed" workers in Cuba today than in 2014. In contrast, Castro's military monopolies are expanding at record pace. The Cuban military-owned tourism company, Gaviota S.A., announced 12% growth in 2015 and expects to double its hotel business this year. Even the limited spaces in which “self-employed” workers previously operated are being squeezed as the Cuban military expands its control of the island's travel, retail and financial sectors of the economy. · Internet "connectivity ranking" has dropped. The International Telecommunication Union's (ITU) Measuring the Information Society Report for 2015, the world's most reliable source of data and analysis on global access to information and communication. ITU has dropped Cuba's ranking to 129 from 119. The island fares much worse than some of the world's most infamous suppressors of the Internet suppressors, including Zimbabwe (127), Syria (117), Iran (91), China (82) and Venezuela (72). · Religious freedom violations have increased tenfold. According to the London-based NGO, Christian Solidarity Worldwide (‘CSW’), last year 2,000 churches were declared illegal and 100 were designated for demolition by the Castro regime. Altogether, CSW documented 2,300 separate violations of religious freedom in 2015 compared to 220 in 2014. In the first half of 2016, there have already been 1,606 separate violations of religious freedom. · Democracy’s regional foes have been emboldened. President Obama’s unconditional recognition and engagement of the sole remaining dictatorship in the Western Hemisphere has sent a message to Castro’s allies in the region that there are no consequences for rogue and undemocratic behavior. Hence the recent militarization (with Cuba’s support) of Venezuela's regime and the parliamentary coup in Nicaragua. Agricultural sales have not escaped this downward trend. Over the years, in this same Committee room, I have heard testimony professing that an easing of sanctions; re-defining of “cash-in advance”; improving U.S.-Cuba relations; and an increase in travel to the island, would benefit U.S. farmers. And, as we all know, since December 17th, 2014, the Obama Administration has engaged the Castro regime and extended a litany of unilateral concessions. As part of these concessions, the Obama Administration has redefined “cash-in-advance”; eased payment terms for agricultural sales; American travel to Cuba has increased by over 50%; Cuba’s GDP grew last year by over 4%; diplomatic relations were established; and endless U.S. business and trade delegations have visited Havana. Yet, U.S. agricultural exports to Cuba plummeted by nearly 40% in 2015. During the first quarter of 2016, the slide continued, as ALIMPORT purchased only $63 million in U.S. agricultural products. That is an additional 21% percent drop from the same period in 2015. These are the lowest numbers since the United States authorized agricultural exports to the Castro regime in 2000. Of course, those who understand how the Castro regime operates are not surprised -- for it has long used agricultural sales as a tool of political influence. As a 2007 report of the U.S. International Trade Commission (‘ITC’) confirmed: "Alimport reportedly initiated a policy in 2003 that limited or ceased purchases from U.S. companies that did not actively lobby the U.S. government for changes to laws and regulations regarding trade with Cuba. Purchases are also allegedly geared to particular U.S. States or Congressional districts in an effort to heighten local interests in pressing the Administration to normalize trade with Cuba." Today is no different. The Castro regime wants the U.S. Congress to lift tourism, financing and investment sanctions that would overwhelmingly benefit its military monopolies, so it is putting on the squeeze. We will surely hear testimony today about Cuba being one of the U.S.’s largest export markets pre-1959 and how we need to “recapture” it. Politics aside, I would caution that Cuba’s economy is nowhere near the same today as it was throughout its pre-1959 history, when it was free-market oriented, with a dynamic private sector, property rights, and among the largest middle class and highest per capita income in Latin America at the time. Today, Cuba is a totalitarian dictatorship, with a centralized control economy and the lowest per capita income in Latin America. We will also surely hear testimony about Cuba purchasing rice from Brazil and Vietnam, instead of from the United States, as a result of the prohibition on U.S. financing for agricultural sales. But I would caution that Brazil and Vietnam’s rice sales to the Castro regime are heavily state-subsidized and made pursuant to political arrangements. They are not based on competitive terms and rates. I would further argue that the recent downfall of the socialist government in Brazil -- and its shady financing deals with the Castro regime that are currently under investigation by the Brazilian authorities -- may lead to a bigger increase in U.S. rice sales to Cuba than anything the U.S. Congress could do. Finally, we will surely hear many theories and estimates about how much more money one commodity sector or another -- or one state or another -- can make from exports to the Cuba, if U.S. sanctions were further eased or lifted. However, as we’ve learned from the dramatic decline in agricultural sales figures over the last year -- despite the Obama Administration easing of sanctions and establishing diplomatic relations with the Castro regime -- that is hardly guaranteed. Let me be absolutely clear. Those of us who support sanctions and oppose the financing of transactions with the Castro regime do not do so with the intent of harming American farmers. Conversely, I know that American farmers do not seek to sell their products with the intent of supporting or subsidizing the Castro regime. American farmers are the best in the world and we all share their desire to establish and expand markets. As a matter of fact, I’m sure Cuban-Americans in Florida consume more rice than any amount ever sold to Cuba pre- or post-1959. However, the agricultural groups represented here today remain steadfast in their desire for the financing of agricultural sales to Cuba and there is even legislation before this Committee to that end. But any such proposition must be weighed by serious factual considerations regarding the troubling structure of Cuba’s business entities (military-run monopolies), its beneficiaries (the Castro family and regime cronies), the rights of its victims (both Cubans and Americans), and whether such practices are in the U.S.’s security interests. Thus, the question comes down to: How to authorize private financing for U.S. agricultural sales to Cuba without subsidizing its derelict regime and in a manner consistent with U.S. security interests and the rights of victims? We are obviously not going to resolve this challenge today. But hopefully, this discussion can be helpful in understanding each other’s concerns and in highlighting important safeguards that could address broader policy implications. Cuba ranks among the world's worst credit-risks and debtor nations. Moody's Investors Service gives Cuba's sovereign debt a Caa2 rating, which translates into "very high credit risk." Despite highly publicized (and politicized) debt forgiveness concessions from Russia and the Paris Club, Cuba still owes upward of $75 billion to a long international list of creditors. As recently as 2010, Reuters reported how Cuba “failed to make some debt payments on schedule beginning in 2008, and then froze up to $1 billion in the accounts of foreign suppliers by the start of 2009." That should make anyone unwise enough to leave money sitting in a Cuban bank account reconsider. And just a few months ago, on July 8th, 2016, General Raul Castro stated, in his own words: "I should recognize that there have been some delays in current payments to creditors." But American taxpayers should also not be exposed to any indirect bailout of the Castro regime. Thus, TSREEA should further be supplemented by a prohibition in the Internal Revenue Code that would prevent any losses stemming from commercial transactions with Cuba’s regime -- pursuant to Obama’s policy changes -- from being deducted when calculating business taxes. 2. Protect American Victims of Stolen Property. According to the Inter-American Law Review, the Castro regime’s confiscation of U.S. assets was the “largest uncompensated taking of American property by a foreign government in history.” Unfortunately, President Obama's policy of expanding business transactions with the Castro regime is already encouraging American companies to traffic and exploit properties stolen from other fellow Americans. Any expansion of such transactions by the U.S. Congress would further expose American victims. There are nearly 6,000 unpaid, certified claims, worth nearly $7 billion arising from the Castro regime’s confiscation of American-owned business and properties. They include many of the ports and other infrastructure used for agricultural exports to Cuba. American farmers understand the importance of property rights. Property is the very core of farming. As such, it is easy for farmers to appreciate the injustice of having your property stolen, and then coopted, exploited and marketed to someone else to the benefit of the thief. This injustice must be corrected and resolved for the victims. Part of that solution will involve restitution from those collaborators who have knowingly benefited from the theft. The injustices occurring today in Cuba regarding confiscated property must be resolved; U.S. law promises that it will, and it is not just the Castro regime that is on the hook. The American victims of stolen property in Cuba must not only remain protected from any financing involving their property, but they should be provided recourse. Unfortunately, President Obama is denying any recourse -- through his waiver of Title III of the Libertad Act -- to Americans who are now seeing their property rights trampled upon by other fellow Americans. That used to be unimaginable. If the Obama Administration is unwilling to protect the rights of grieved Americans, then a private right of action should allow for the victims to do so directly through the rule of law. As such, the U.S. Congress should pass legislation to end the President’s waiver authority over Title III of the Libertad Act and grant Americans the legal standing to pursue justice. 3. Prevent Support for Cuban Military Entities. Today, the Cuban military owns and operates one of the largest conglomerates in Latin America, known as the Grupo de Administración Empresarial, S.A., or GAESA. Its portfolio includes companies that dominate ports, trade zones, tourist attractions, restaurants, hotels, real estate, retail stores, currency exchanges, gas stations, airlines, and other transportation services. Its head, Gen. Luis Alberto Rodriguez Lopez-Callejas, is Raul's son-in-law. Far from empowering Cuba’s small sector of "self-employed" residents, the Castro regime is taking full advantage of President Obama's new policy to accelerate the military's holdings of every entity poised to benefit from current U.S.-Cuba relations. Let there be no doubt, the Cuban military is already encroaching into the U.S. agricultural trade sphere, which is currently under the direction of the nominally-civilian Ministry of Foreign Trade. However, if Congress were to authorize any financing for agricultural sales to Cuba, I guarantee that GAESA would absorb ALIMPORT as swiftly -- with no legal process and lack of transparency -- as it recently did Habaguanex, S.A. and Banco Financiero Internacional. (Both were the focus of the AP story referenced in the prior paragraph). With great foresight, just a few months after President Obama announced his new Cuba policy, the Chairman of the House Intelligence Committee, U.S. Rep. Devin Nunes (Cal. ), and the Chairman of the House Armed Services Committee, U.S. Rep. Mac Thornberry (Tex. 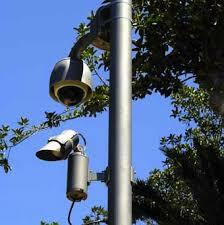 ), anticipated this trend and introduced the Cuban Military Transparency Act (H.R. 2937), which seeks to ensure that any increase in resources to Cuba -- pursuant the Obama Administration's recent policy changes -- truly reach the Cuban people and are not funneled through the Castro regime's armed forces. After all, these are the same Cuban armed forces that recently held a stolen U.S. Hellfire missile for nearly two years; that have been caught twice internationally-smuggling heavy weaponry, including the worst sanctions violations ever to North Korea; that oversee the most egregious abuses of human rights in the Western Hemisphere; that are subverting democracy in Venezuela and exporting surveillance systems and technology to other countries in the region; that welcome Russian military intelligence ships to dock in their ports; that share intelligence with the world's most dangerous anti-American regimes; and of which three senior Cuban military officers remain indicted in the United States for the murder of four Americans. As such, I would urge that this important piece of legislation, introduced by your national security counterparts, remain the priority of any Cuba policy consideration by the U.S. Congress. Mr. Chairman, this concludes my testimony. Again, I thank you for the opportunity to testify today. I look forward to continuing this important discussion and working in furtherance of our common interests. The internet is a tool and freedom is the right to act, speak, or think as one wants. Please try not to confuse the two. Today when attending the Cuba Internet Freedom Conference in Miami, a number of questions arose that could not be addressed following the presentations because there was no question and answer period. For example Professor Anne Nelson gave an interesting key note address Cuba's Parallel Worlds: Digital Media Crosses the Divide that omitted some key facts that would have provided a better context on internet freedoms within the Cuban context. First and foremost failing to mention that in 2015 the Committee to Protect Journalists identified Cuba as the tenth most censored country in the world. This is a regime that still burns books in the 21st century. This reality was both recognized while its significance downplayed. On January 16, 2002, a decree was approved by the Ministry of Domestic Commerce prohibiting the sale of personal computers to individuals. According to an article published on March 25 in the digital periodical wired.com, Decree 383/2001 prohibits "the sale of computers, printers, duplicating machines, photocopiers, or any other instrument for large-scale printing" to any association, foundation, nonprofit civil organization, or individual. In cases where the purchase of such equipment or related spare parts or accessories is considered indispensable, authorization must be requested from the Ministry of Domestic Commerce. This runs counter to the postulates made by Dr. Nelson that "over time, history has demonstrated that more media necessarily means less controlled media," and "the Communist regime remains, but Cuba is no longer frozen in time." First the consolidation of the regime in Cuba began within a country that boasted many media outlets in 1959 that were systematically restricted, controlled and over time shut down leaving only the existing communist monopoly. Secondly, the Castro regime has never been "frozen" but has been constantly adapting to circumstance in order to preserve power. The paper also makes the assertion that U.S. - China policy has created greater access to information for the average Chinese. However studying the literature on the subject offers a more nuanced analysis that contradicts the professor. There is more information but it is censored, controlled and the Chinese inundated with it are not aware of the holes in their knowledge. Worse yet, some American companies assisted in providing the technology to systematically censor the entire Chinese population and maintain them uninformed. Other American companies actually assisted the Chinese political police in hunting down Chinese dissidents some of which as a result were captured and tortured while others were killed. This resulted in companies being sued and as in the case of Yahoo having to shell out millions of dollars in lawsuits to pay for the damage done to innocent Chinese. The pattern repeats itself now in Cuba and that is why at a gathering in Puerto Rico of Cuban activists on, and off the island the activists agreed to condemn Google and asked the company to live up to its corporate values in its final document. Denounced the indifference of the company Google in violation of its code of corporate conduct and demanded that it establish a correct policy to provide wireless internet service with no censorship and without dependence on the regime in benefit of the Cuban people. Mai T. Truong of Freedom House presented a report, Freedom on the net: Cuba in concext, analyzed the above reality and reviewed previous Freedom House reports going back to 2009 and concluded that Cuba can follow one of two paths: more repression or liberalization. She contrasted China and Estonia as examples. However to understand how Estonia became free and how China has maintained its police state one must understand the double edge sword in a democratic struggle that is the internet. Democrats in Estonia successfully overthrew the communist democrats there using nonviolent means while in China the Communists hang on to power following a brutal, bloody crackdown in Beijing. The secret of Estonia is that the change there from unfree to free, as was also the case in Poland and the Czech Repubic, was nonviolent and enjoyed democratic solidarity from the West. With a new regime the country went from a closed society to an open and free democracy in Estonia over the past 16 years. Meanwhile in China commercial interests trumped democratic solidarity and the communist regime was able to slaughter thousands of peaceful demonstrators remaining in power. These conclusions went unsaid on Monday. What do you think? Write your opinion down below.